John Wood, the founder of Peterborough brewery Oakham Ales and a “pioneer” in the UK’s real ale scene, has died. Wood, who was an active branch member of the Campaign for Real Ale and a popular figure in the real ale community, passed away on Friday 19 January after being admitted to Glenfield Hospital in Leicestershire. Members of the brewing community have taken to Twitter to share their condolences. One of the pioneers of great beer in our city. 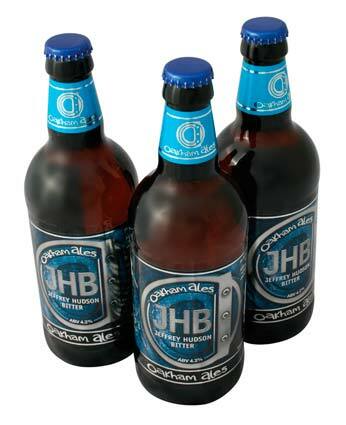 He crafted my all time favourite beer JHB. He will be fondly remembered by all. I hope he’s tipping one back at the great pub in the sky! Wood founded Oakham in 1993, and masterminded one of the brewery’s best-known beers, award-winning ale Jeffrey Hudson Bitter (JHB). Wood left the microbrewery two years later, which was relocated to Peterborough when it was purchased by senior partner Paul Hook, but his signature JHB ale was kept on. JHB has won several accolades since the UK’s craft beer scene has evolved and expanded in the past 20 years, including a gold in CAMRA’s Supreme Champion Beer Award in 2001, and another gold in the Society of Independent Brewers Association’s (SIBA) Great Beer of East Anglia awards. Known as “The Woodster” by CAMRA members, Wood was also championed independent cider producers, acting as cider officer for the organisation’s Rutland branch. CAMRA released a statement on 20 January hailing Wood as a trailblazer within the UK’s craft beer market. John was a very dear friend to me . A wonderfully talented man in many ways. As a friend and fellow musacian with Rutland Morris I cannot say how much I will miss him.